Hug your dog with Aloha. 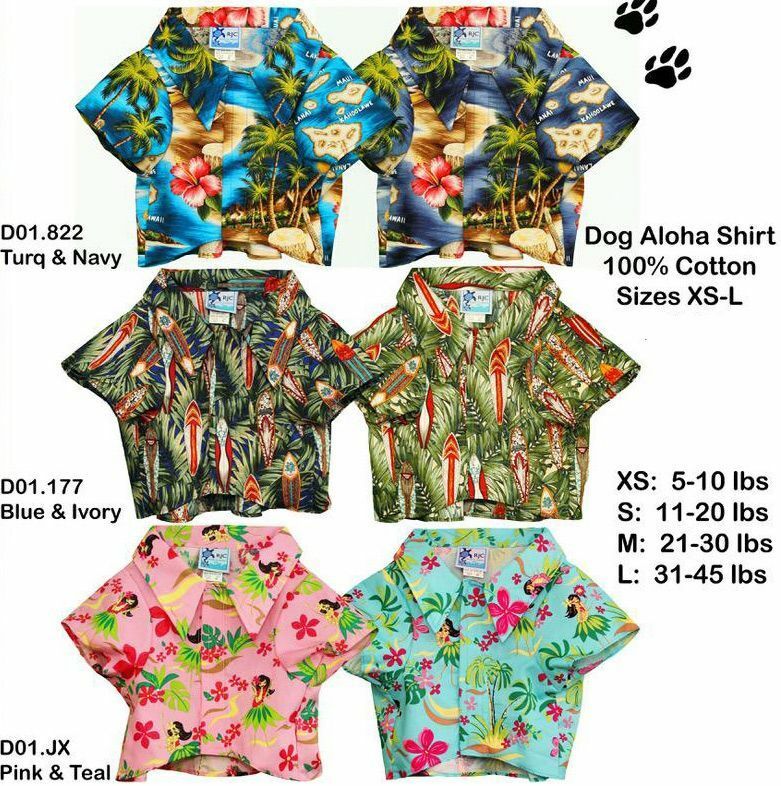 Dog camp shirts in three different Hawaiian designs; Hibiscus Islands, Surfboards and Hula Girls. Each your choice of two colors. Some with matching children and adult styles.